Induction into the Hall of Leaders is the highest honor bestowed by U.S. Travel and one of the greatest recognitions an individual in the travel and tourism industry can receive. Honorees are industry pioneers whose vision and leadership have strengthened and unified the industry well beyond their own organizations, and whose contributions have a lasting impact. Davidson was appointed executive director of Travel Oregon in 1996 and was named its chief executive officer in 2004. Under his leadership, travel and tourism in Oregon grew into an $11.3 billion industry, and the organization’s marketing—particularly its international efforts—have been recognized with dozens of awards. Davidson was named State Tourism Director of the Year in 2006. Davidson is a past chair of the U.S. Travel board of directors and the U.S. Department of Commerce Travel and Tourism Advisory Board, and in 2016, the U.S. Secretary of Transportation appointed Davidson to serve on the National Advisory Committee on Travel and Tourism Infrastructure. “Todd’s creative, enterprising vision exemplifies the vital role that DMOs play not just in travel promotion, but as leaders in economic development and the creation of a community identity,” said Dow. Richardson served as marketing director and then president and CEO of Six Flags Over Georgia from 1968 to 1991, and then served 17 years as president and CEO of the Atlanta CVB. Richardson was critical to the success of the 1996 Olympic Games held in Atlanta, and led the industry by developing forward-thinking and inclusive initiatives: Atlanta was one of the first CVBs to develop a cultural tourism department, launch a destination website, begin a diversity marketing program and start a charitable foundation. Richardson lent his expertise to several associations, at various times serving as chairman of the International Association of Convention and Visitors Bureaus (now Destinations International), the International Association of Amusement Parks and Attractions, and the Georgia Hotel and Travel Association, and as former president of the Southeast Tourism Society. With these inductions, 98 individuals have now joined the U.S. Travel Hall of Leaders since it was established in 1969. 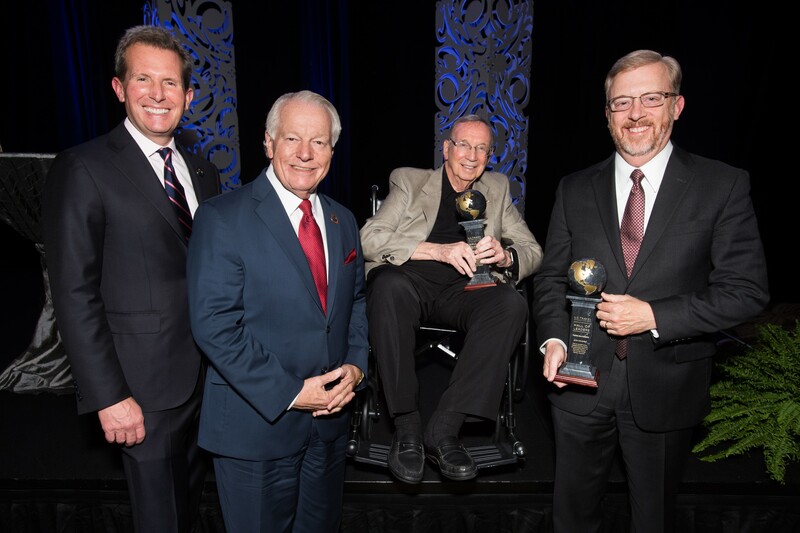 The 2017 inductees were Arne Sorensen, president and CEO of Marriott International, and Randy Smith, co-founder and chairman of data and analytics firm STR. Download a high-resolution image here.